The 10 best things that make the Costa Maresme amazing! 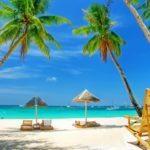 Where are you going this summer?! Take your family and friends to the Costa Maresme! Beautiful sandy beaches, interesting trips, untouched nature, Barcelona! and many nice resorts with cozy cafes, restaurants and bars. 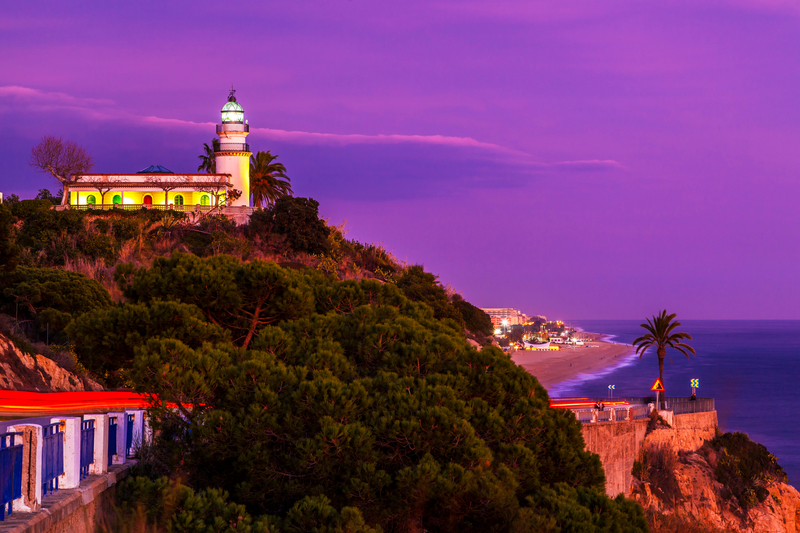 Discover like many other holidaymakers the bustling and lively Costa Maresme! From your private villa or holiday home you are only a step away from all the amazing hotspots of this Costa. Can you imagine it? A nice day of sightseeing, discovering all the interesting places in the Costa Maresme and then after a long exhausting but great day you come back home to your villa. You jump into your private pool or relax and drink a refreshing drink at sunset with the smell of the bbq around you. Perfect isn´t it!? From your private villa or holiday home from Club Villamar you can have it all! Find out what the Costa Maresme has to offer you. 1. Barca, Barca, Barca … Barcelona! 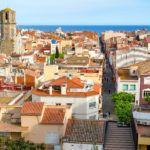 If you are on holiday on the Costa Maresme, you cannot afford to miss the opportunity to visit Barcelona, the capital of Cataluña Take the train or the bus from your holiday village on the Costa Maresme and go to visit the famous city of Barcelona. 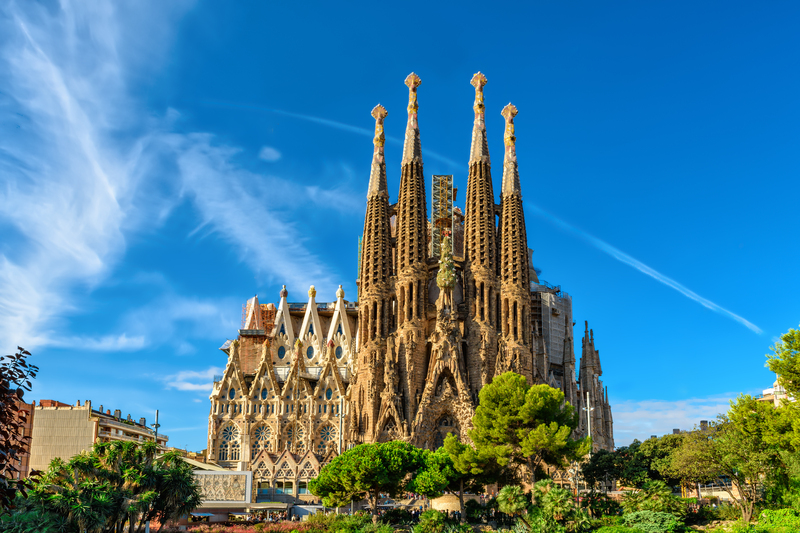 The Church of the Sagrada Familia is unmissable; you should also visit the Ramblas and enjoy the atmosphere there, with the artists, flower sellers, and the bar and restaurant terraces. Visit the legendary football stadium of FC Barcelona, the world’s best football team or the impressive Olympic Stadium. Go shopping on the Paseo de Gracia or on the Avenue Diagonal; get the best out of Barcelona by night, see the wonderful coloured fountains near the Palau Nacional or discover the city’s history in the Maritime Museum. Most tourists love Barcelona’s exceptional road network, its Mediterranean weather and its tourist sights. In Barcelona you can do everything except get bored! Admire the Costa Maresme from the top of the mountains! 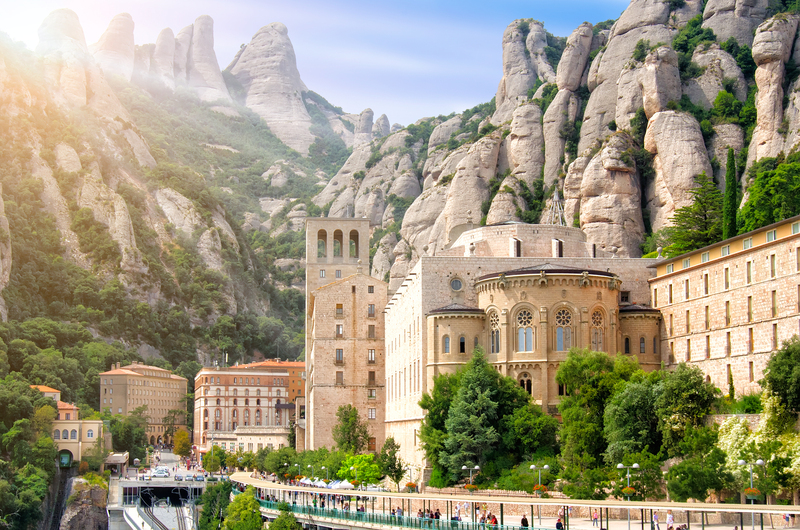 The Monastery of Montserrat is located 50 km north west of Barcelona, less than 3 hours from Perpignan. Put on your walking shoes and go on foot to the Monastery by a fantastic route where you will come across lovely chapels along the way. The Monastery, which is built right into the mountain, will come as a surprise. The main façade of the church is in neo-plateresque style; the exterior of the building is not as big as the other Catalan monasteries. The original building has been almost completely destroyed: there remain only a gothic cloister and the basilica’s vast cloister atrium. Montserrat has always been a sanctuary where a sculpture of the Virgin is venerated and it has also been a symbol of the country. Important national historic events have usually been linked to those of Montserrat’s history. Do you know the legend of the Black Virgin of Montserrat? Touch her, and you will fall pregnant! A spectacular park on the Costa Maresme. As you approach the park, you will immediately feel the peace and quiet. This natural park is situated in a large area between the mountains, where there are plenty of trees and footpaths. Here you will be able to go for a walk all together or, alternatively, go by bicycle to enjoy the perfect combination of sport with the idyllic natural surroundings. You can stop to rest from time to time in the small colourful villages where you can experience the hospitality of the local people. Sit on the lovely little terraces in the sun and have something to eat or drink at your leisure. During your visit to the Park of Montnegre you absolutely should not miss the Adventure Park, where you will find countless water sports activities to indulge in. There are also playgrounds for the children. Come with the whole family and enjoy this magnificent natural area. Are you a culture lover? Then, we recommend that you visit Mataró. 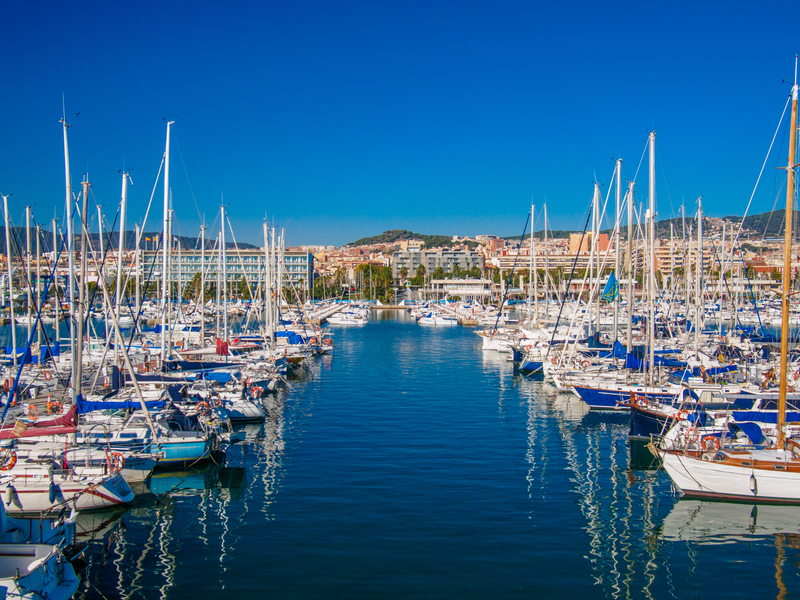 Mataró, in the heart of the Costa Maresme, is an industrial, commercial and tourist centre, the most developed part of the Costa Maresme. This friendly town on the coast has one of the most important marinas in the area; it also has a beautiful beach. Mataró has an illustrious past, dating from Roman times, such as Lluro Square, the remains of a typical city dating from the first to third century B.C. and protected by the archaeological enclosure called Torre Llauder. In the heart of this old city, you will find the Basilica of Santa Maria, dating from the 15th century; its façade is in medieval and neo-Roman style, dating from the 19th century. 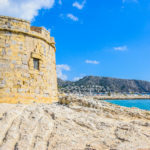 If you want to do a complete tour, with all the information, the tourist office of Mataró recommends that you take an audio-guide visit and an itinerary. In addition to this, you can visit the Regional Museum of Maresme and discover all its history. 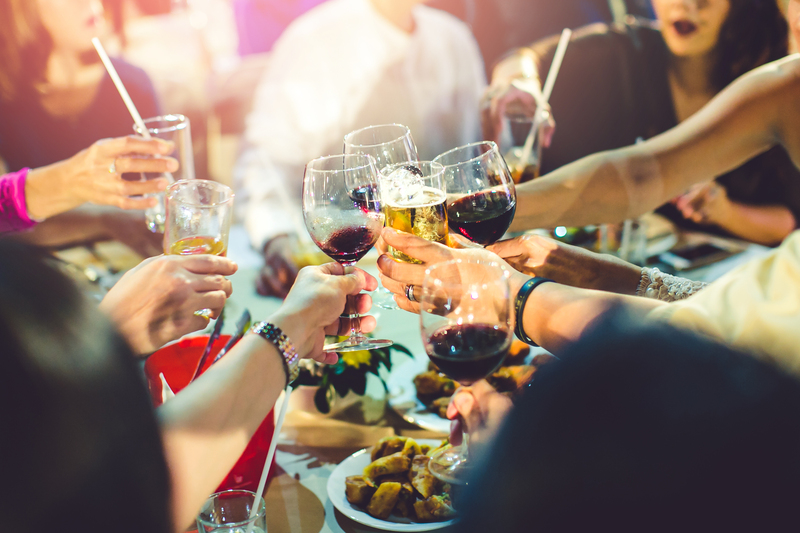 Are you an expert on wine? From the economic and social point of view the vine plays an essential role in Alellaand on the Costa Maresme. Alella is renowned for its vine cultivation and its wine production. 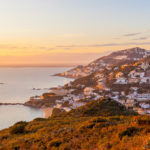 Many tourists come to Alella to buy good wine, or just to relax on a terrace with a drink of wine and some tapas. The harvesting takes two months and it is done by hand. The vineyards can be harvested three times, and they try to get the optimal moment of ripening of every grape stock. There is a wide range of varieties, and flavour is more sought after and more important than the variety of grape. The process is very specific. In the Masia Museum Can Magarola, you can learn everything about the story of the vine growing area of Alella and you will have the opportunity to watch the process of wine and cava manufacture. Take a bottle home! Who does not enjoy the water? Come to the aquatic park of Marineland with your family, and discover the place wherechildren’s dreams come true! It is both a maritime zoo and an aquatic park, situated 6 km from Malgrat de Mar. 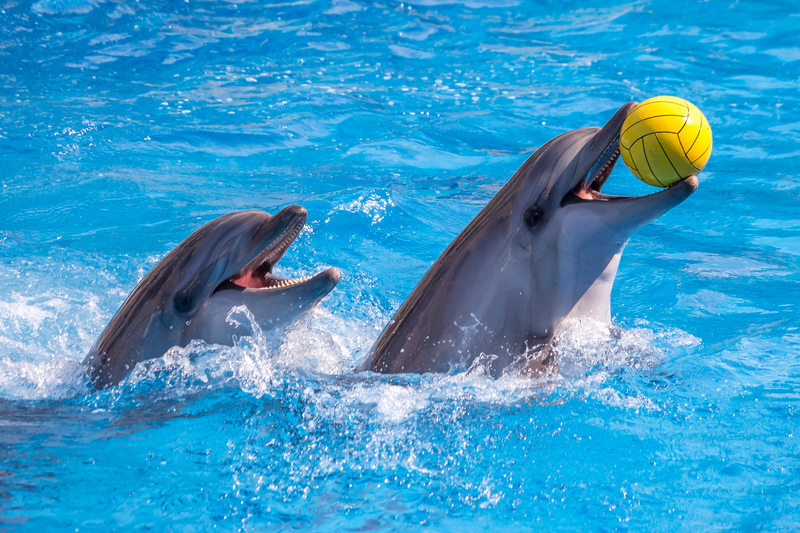 The dolphins are the leading attraction in this park; you will have the chance to see fantastic shows with dolphins working with their coach, and to learn a lot of interesting facts about their morphology. Marineland is a place specially created for children. Enjoy the slides and the entertainments in the park, with absolutely safety! And much, much more! There are more animal shows, with very clever seals and parrots. If you are holidaying on the Costa Maresme, a journey to Marineland will be unforgettable. Enjoy a relaxing day on the catamaran.Do you fancy relaxing while viewing the Costa Maresme from the sea during your holiday? A boat trip is the best choice! Along the beaches of the larger resorts you’ll find ticket boxes to choose and buy the ticket for your boat trip. Go aboard the boat, sail along the coast and discover the area. Discover the Costa Maresme from the sea or go on shore in one of the most popular resorts. You can explore the village, eat or drink something on a terrace. 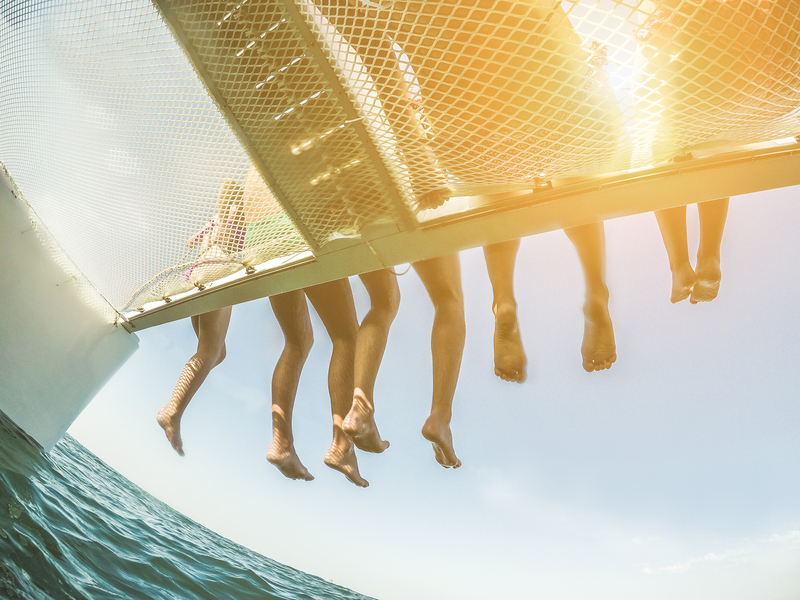 And when you’ve taken a refreshing dive into the water, you can go back aboard and sail back to your destination on the Costa Maresme.No matter what, it will be a nice restful day! Get back to nature and enjoy the many activities together with the children or with your friends, it does not matter which! This park is situated in Santa Susana, on the Costa Maresme, at the entrance of the Montnegre. This area offers a large variety of activities to engage in, in the open air; it is ideal for friends, families or work meetings. Climb a rope bridge; launch yourself on a rope-slide; challenge your friends to paintball; practise archery, and much, much more! There are plenty of adventure courses in the woods, a rope walkway, two fields to play laser combat (the best strategic game), a variety of excursions by quad bike, or on a horse or donkey in the natural park of Montnegre. You will not be bored with so many things to do, but you may want to rest from time to time. To have a break, you can eat there (with a prior booking) and have a drink in the bar, or you can get a take-away lunch and have a picnic. Additional information: there are private parking areas, changing rooms, toilets and an information office about what to see in the area. For people who would like a break away from the busy, crowed town of Calella, we recommend that you visit the Dalmau Park. This park was built in 1928 by Jeroni Martorell, and, like Hyde Park in London, it acts as Callella’s “lung”. Walk together through this enormous forest, made up of pines and Holm oaks, get the most out of these extraordinary surroundings, fill your lungs with fresh air. You will find rest places and places to enjoy nature without having to walk far. In the centre of this natural area there is a square called Plaza del Oso where there is a playground for children, and a place of peace and calm to rest in. This park is put to good use, with concerts which are organised there. They generate a good atmosphere, which is much enjoyed by the local people as well as the tourists. If you have the chance, do not miss it! As you can see, on the Costa Maresme there are plenty of natural areas to visit, so if you love nature, then the Costa Maresme is the place for you! Situated between the River Besos and the Lake of Argentona, this park plays an essential ecological role because it combines the coast with the countryside. This natural park is an ideal place because of its Mediterranean climate and its exceptional location. Hitch up a horse and ride around the magnificent landscape of Cataluña. On your way you will see dolmens, Iberian remains, chapels, castles… in perfect harmony with country houses, surrounded by agricultural lands. You will be amazed at this corner of virgin nature and at the beautiful views which you will enjoy during your visit. The Costa Maresme is the perfect holiday destination for young and old! 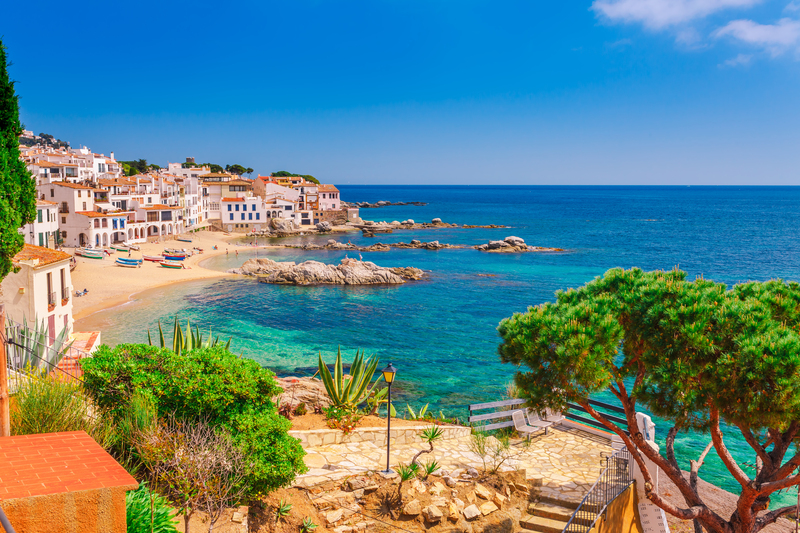 Can you see yourself shopping in Barcelona, wine tasting in Alella, going wild and wet at Marineland or discover the Costa Maresme by horse or boat?! Curious about what else to do and see in the Costa Maresme? Read everything here! 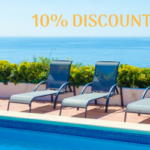 Just like everyone you also want to have the best villa in the Costa Maresme, so you can fully enjoy your deserved holiday. So wait no longer, because there is only one perfect dream home for you! Don’t miss it!